I hope this book gives you what you need. You are going to be a great dad. 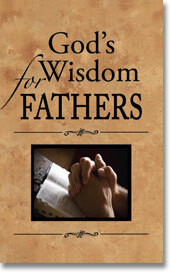 Good fathers are often unpraised and unnoticed, but so necessary and valuable. When your little one looks up at you, your heart melts and you know right there and then that God has done His magic.